I can’t believe “neighbours” complain about the noise! It’s 100km from suburbia - how far out do they have to go? Plus it’s only 1 “big” event (20k-40k people!) a year and they complain, I have heard it all. Well they're going to be building a drag strip, which would raise the noise levels somewhat. Can somebody tell me how the hell this is supposed to be constructed for $13m? So because it's run by Asians, it's dodgy, sleazy & a brothel? "Sent from my iPhone" is a pretty good point, tbh. You don't see people lining up for hours to buy some Alcatel piece of garbage. 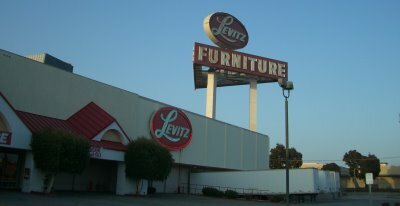 Everybody complaining about this, like this is something new we should be "embarrassed" by or whatever, should at least look up Levitz Funiture. They must've REALLY buggered something up! I hope they're not complaining about the affordable housing components being eliminated, because I thought it was them whining about "ghettos" that got it canned in the first place. Yeah, Gourmet Glaze aren't exactly "battlers", but at least more of the money you pay stays in SA. Also, Adelaide United are on record saying they wanted to play it at Hindmarsh.